An average of more than 80% of travel website visitors who begin a booking don’t complete the purchase. With more than 5 million visitors a year, addressing this issue was a great opportunity to increase online bookings for SuperBreak.com. Working with SaleCycle, SuperBreak are able to target every single visitor who abandons a booking. Striking while the iron is hot, their on-site campaign reinforces the benefits of booking with a travel brand that has more than 30 years’ experience. 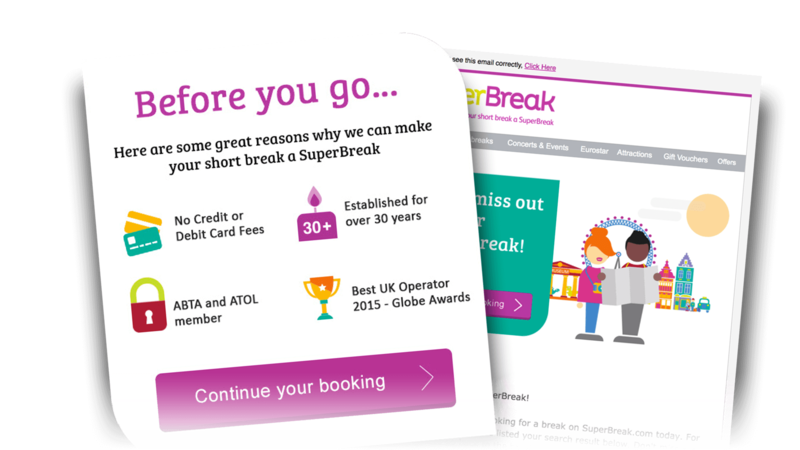 SuperBreak’s multi-cycle email campaign uses eye-catching animated design, frequently tested subject lines and full basket details to engage the recipient and recover their bookings. 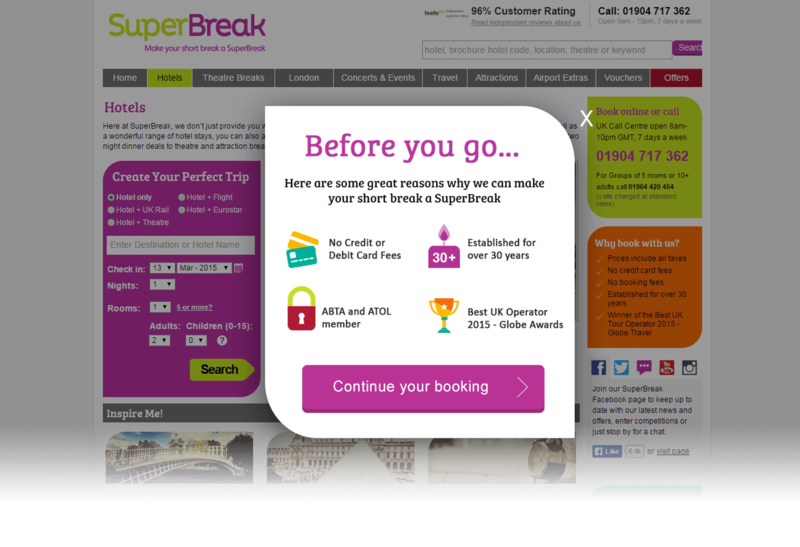 SuperBreak’s remarketing campaigns have been a real success from the start. 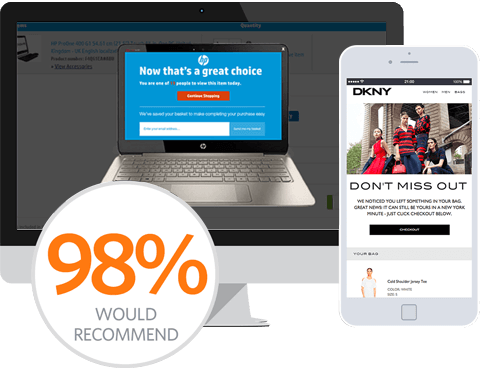 With more than 40,000 remarketing emails forecast to be sent in the first year, they are already achieving an open rate of more than 37%. The standout success of the remarketing campaigns has been the recovered basket value. It is almost a third (29%) higher than the average basket value of direct online bookings on SuperBreak.com. With millions of travelers relying on SuperBreak.com to book their short break, we need to make sure our online channel is driving as many bookings as possible. That’s where SaleCycle comes in. Their highly measurable remarketing solutions are driving more revenue than we expected and the level of support we receive from our campaign manager is outstanding. Working with SaleCycle is, professionally, one of the best decisions we’ve ever made. On-Site Remarketing Stop people abandoning.